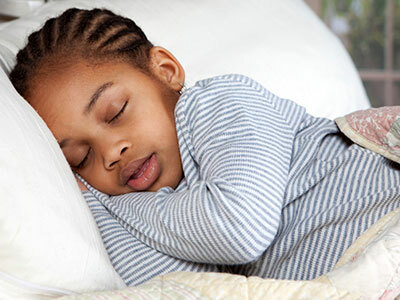 Researchers at Children’s National collected information on 250 children with severe obstructive sleep apnea – defined as at least 10 pauses in breathing in an hour during sleep – who were seen at Children’s National’s Pediatric Sleep Laboratory. Obstructive sleep apnea (OSA) often starts with a snore that sounds harmless enough. But over time, explains Sasikumar Kilaikode, M.D., a pediatric pulmonary fellow in the Division of Pulmonary Care at Children’s National Health System, this condition can lead to serious health consequences. 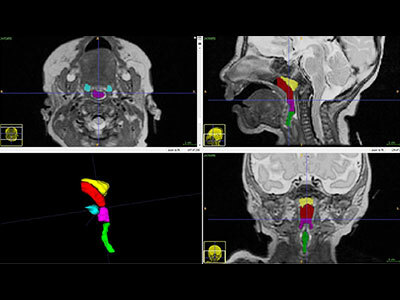 OSA, caused when the airway becomes periodically blocked during sleep, has a bevy of associated and often serious complications that can affect children, including heart problems and neurocognitive issues, such as learning disabilities. Researchers have reported that conditions such as asthma and probably OSA tend to disproportionally affect children from disadvantaged backgrounds and that the severity of this condition tends to be greater in minority groups. However, Dr. Kilaikode explains, there have been insufficient data about how the most severe form of this condition affects inner city residents, a population that tends to have relatively higher numbers of disadvantaged, minority children – particularly the timeliness of diagnosis and treatment for this group. 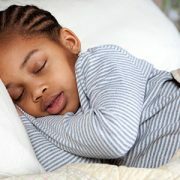 To investigate, Dr. Kilaikode, his mentor Gustavo Nino Barrera, M.D., and colleagues collected information on 250 children with severe OSA – defined as at least 10 pauses in breathing in an hour during sleep – who were seen at Children’s National’s Pediatric Sleep Laboratory. This facility performs sleep studies on children during which their oxygen levels, breathing patterns, movements and brain activity are monitored while they snooze in a hospital bed overnight. The vast majority of the 250 children enrolled in the study were African American, reflective of the demographics of the hospital’s service area. The team was surprised to learn that the time to diagnosis for African American study participants was much longer than the time to diagnosis for the non-Latino white study participants. The team presented these results at the American Thoracic Society 2017 International Conference in Washington, D.C. He adds that it’s unclear why it took so long for some patients to be diagnosed – the team’s current research efforts are focused on this question. Some of their theories are that families and schools might be unaware of this condition and its symptoms; some families might have limited access to the health care system; probable lack of screening by primary care providers; or problems with health insurance might preclude timely or adequate care. In the future, he and other members of the Children’s pulmonary team would like to focus OSA education and outreach efforts on people that this study suggests have the greatest need: Minority and low-income families. The first step, Dr. Kilaikode says, is helping families recognize symptoms early.